Emma Koi maintains an eclectic career as an orchestral, chamber and collaborative flutist. She is an alum of the Civic Orchestra of Chicago, Principal Flute of the Festival City Symphony, Third Flute/Piccolo with the Wisconsin Philharmonic Orchestra, and is a frequent substitute with the Milwaukee Symphony Orchestra. Ms. Koi has served as a coach for youth band and orchestra programs throughout the country, and has taught on the faculty at Mount Mary University, Carroll University, and the Wisconsin Conservatory of Music. 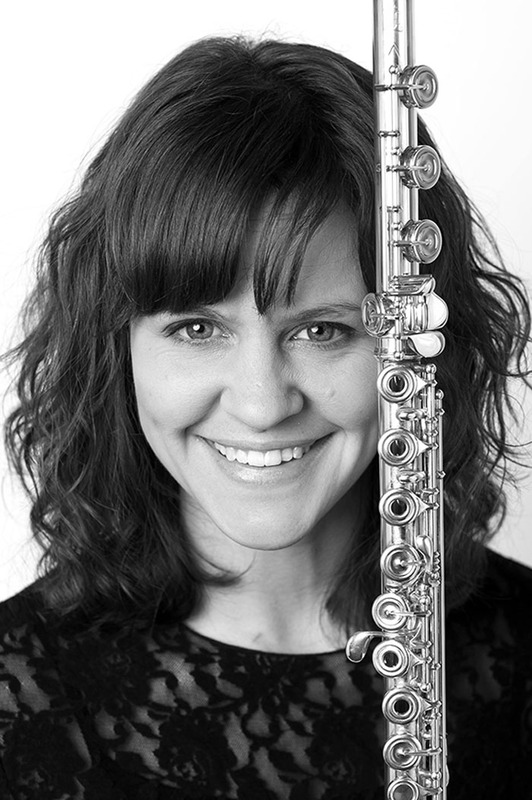 She holds a Master of Music in Flute Performance from Carnegie Mellon University and degrees in music (BA) and dance (BFA) from the University of Wisconsin-Milwaukee. She is the founder of Cadance Collective, a Milwaukee-based ensemble of musicians and dancers, treating choreography and composition as equal tools in creating new work for the stage. Emma lives in Milwaukee with her husband, their one-year-old son, Henry, and their 14-year-old cat, “Gus”. Emma is an amazing teacher to work with! She is very friendly, and very talented. She has helped me personally change my playing tone for flute, which is very beneficial. Along with tone, she has helped me work on technically challenging parts of a piece, and shows me different ways I can practice the section to help me learn the part very quickly. Emma is a phenomenal teacher and I enjoy working with her. Emma continues to be an amazing flute instructor for my daughter. Once my daughter started taking lessons with Emma, her skill level has soared and Emma has given my daughter professional and academic advice that is priceless. My daughter and I highly recommend Emma to any student who wants to excel.